Where to stay to explore the Antrim coast in Northern Ireland ? Cheaphotels4uk > UK travel guide – Blog > Where to stay to explore the Antrim coast? 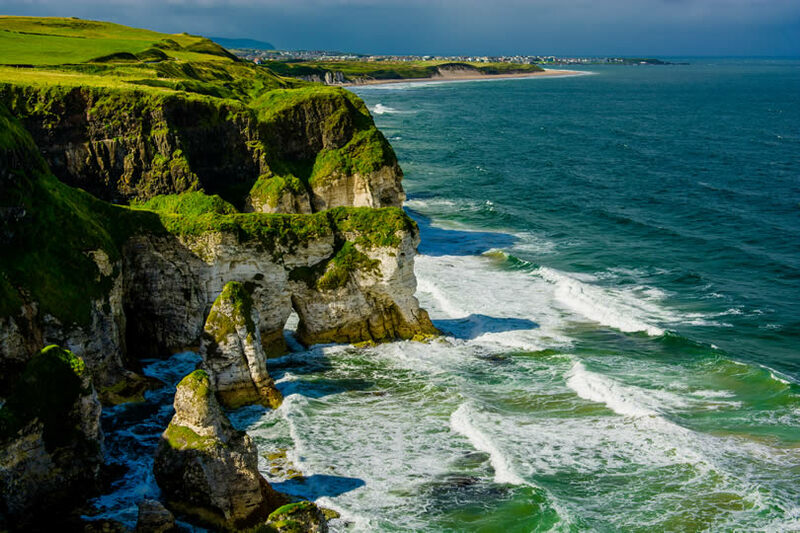 Northern Ireland’s Antrim coast is well known for its beautiful scenery and fascinating attractions. 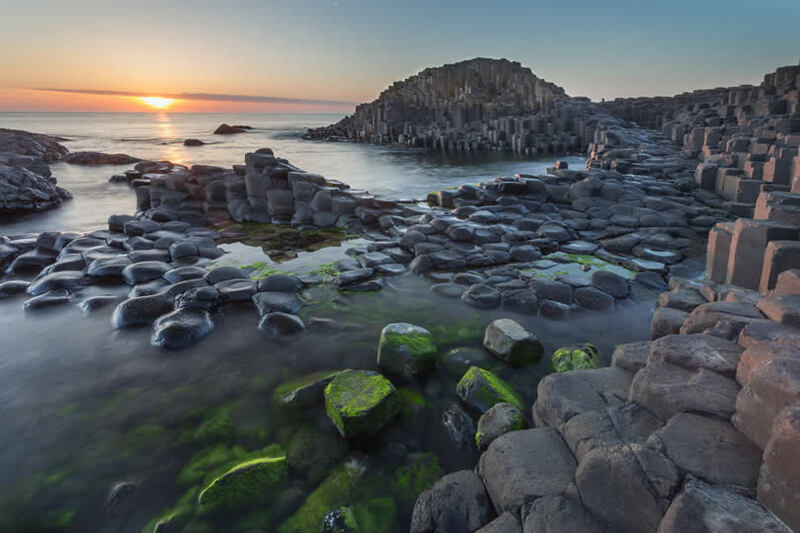 Home to some of the best known sites in the country including the Giant’s Causeway, this area is the perfect place to spend a weekend break. So, where is the best place to stay to get the most out of this beautiful region? The small seaside resort of Portrush is the ideal spot to base yourself for a weekend on the Antrim Coast. Located on the border with County Londonderry, this town is perhaps best known for its three pretty beaches as well as its golf club, which holds the title of the only golf club to have hosted the Open Championship outside of mainland Britain. 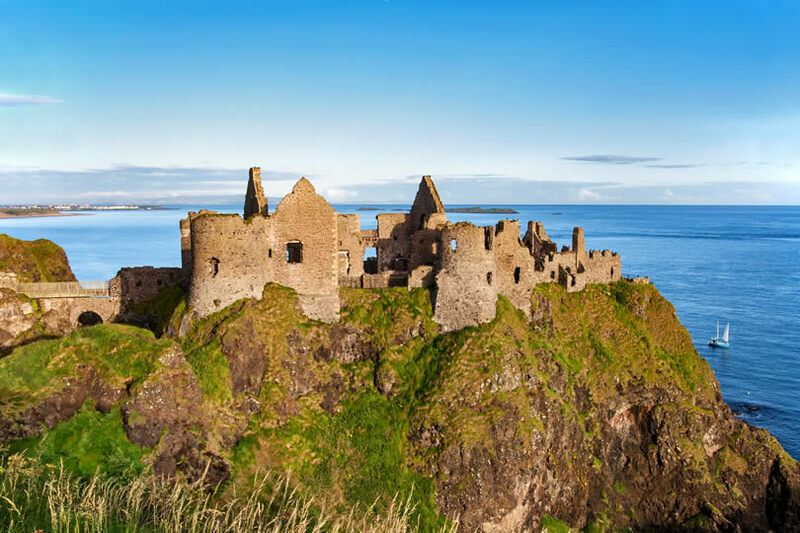 Portrush is also home to Dunluce Castle, a spectacular ruin that dates back to around 1500, and which most recently made an appearance in TV series Game of Thrones as the House of Greyjoy. Portrush is also the surfing capital of Northern Ireland, so whether you are a seasoned pro or are brand new to the sport, this is the perfect place to grab your surfboard and take to the waves. This lovely town is also a fantastic place for keen hikers to base themselves thanks to the many walks that originate here. The Portrush peninsular coastal walk takes in all of the sights of this gorgeous section of coastline and isn’t so strenuous that it is out of the reach of casual walkers. Once a popular Victorian holiday resort, Portstewart is still popular today with holidaymakers from all over the world who are keen to discover the beauty of the Antrim Coast. Perfectly placed within easy reach of all of the area’s attractions, this town is the ideal place to stay while taking day trips to all of the coastline’s most famous spots. Whether you are looking for cheap accommodation or something more luxurious, there are B&Bs and hotels here to suit your budget, all close to the town’s many amenities and the glorious sandy Portstewart Strand. If you’re looking for a quiet retreat away from it all, yet within easy reach of all of the attractions of the Antrim coastline, you should consider staying in Bushmills. 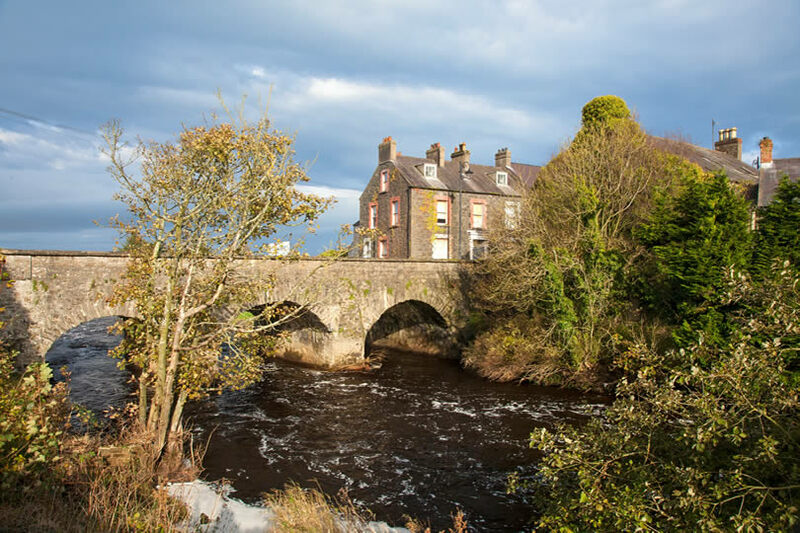 This small, attractive village is home to one of the region’s best known attractions, the Bushmills Distillery – the oldest working distillery in Ireland. Take a guided tour and learn more about the hand crafting process before tasting some of the fine whiskey. The Bushmills Railway gives visitors the experience of travelling on a vintage steam locomotive and connects the village with one of the most famous attractions in Northern Ireland, the Giant’s Causeway. This makes Bushmills one of the top places to stay for convenience when visiting this World Heritage Site, or for taking one of the many beautiful coastal walks in the area. While the National Trust Visitor Centre charges an entrance fee, the trails around the causeway can be explored completely free of charge, making them a cost effective day out for holidaymakers on a budget. For a weekend break a little more off the beaten track, look for accommodation in Carnlough. The focal point of this village is its picturesque harbour which has recently undergone renovation and which is a great spot from which to try a spot of fishing. 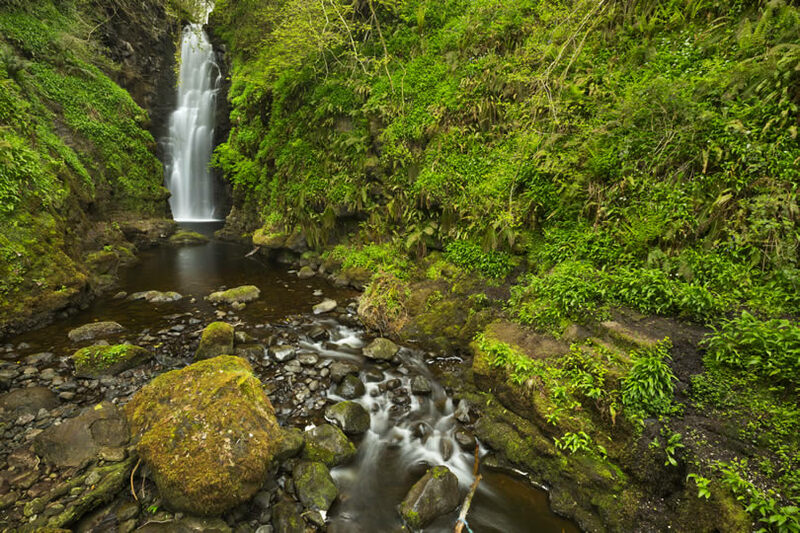 Carnlough also has its own small beach and is an easy walk from Cranny Falls, a beautiful waterfall in a gorgeous countryside setting. Larne is a seaport town with a long history. In fact, it is believed that this is one of the earliest inhabited parts of Ireland and there is evidence of some of its heritage in the form of the ruins of Olderfleet Castle which dates back to the 13th century. Larne has many excellent hotels and B&Bs that are the perfect base for exploring the Atrim coast. The town is also ideally placed for visiting some of the area’s main attractions including the Carnfunnock Country Park with its 191 hectares of woodland and gardens, golf driving range, wildlife garden and outdoor adventure playground. The town is also home to the Larne Museum and Arts Centre which houses fascinating cultural exhibitions and which also offers free admission. The entire village of Glenarm has been designated as a conservation area and is a wonderful place to spend a weekend break. 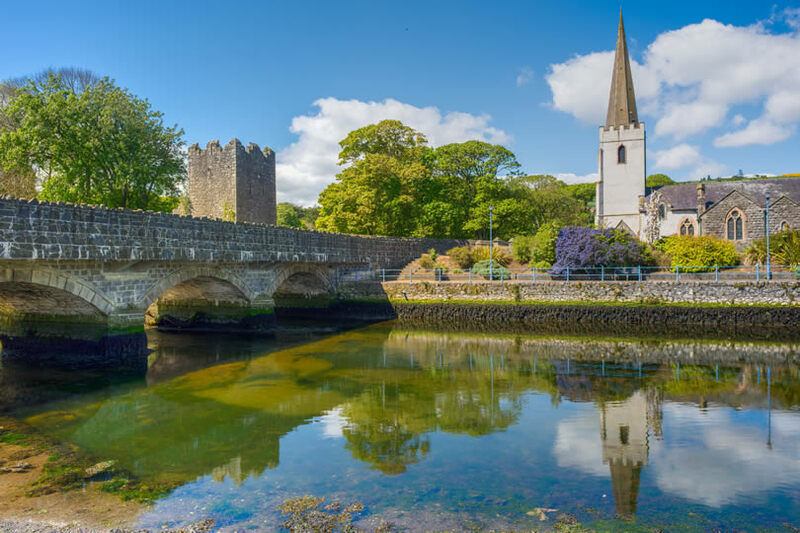 One of the nine Antrim Glens, Glenarm boasts lovely riverside walks, the opportunity to enjoy pleasure boating from its marina and a picturesque setting that has been used as a location for countless films and TV programmes. 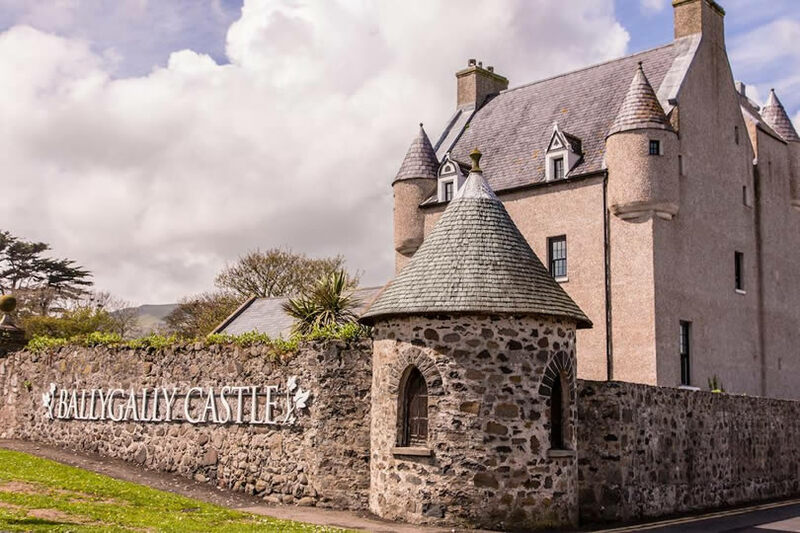 Home to the impressive 17th century Glenarm Castle which hosts festivals throughout the year including the Dalriada Festival and Highland Games, the village offers direct access to Glenarm Forest with its lovely walking trails, small waterfalls and abundant wildlife. The village of Cushendall boasts a host of B&Bs and self-catering accommodation units that are a great place to begin your tour of the Atrim coastline. The village and its immediate surroundings have some impressive places of interest to discover including the early 19th century Curfew Tower which was originally built to imprison riotous prisoners, the burial place of Oisin, the Celtic Warrior Poet, the 14th century Red Bay Castle and the ruins of the 13th century Layd Church. 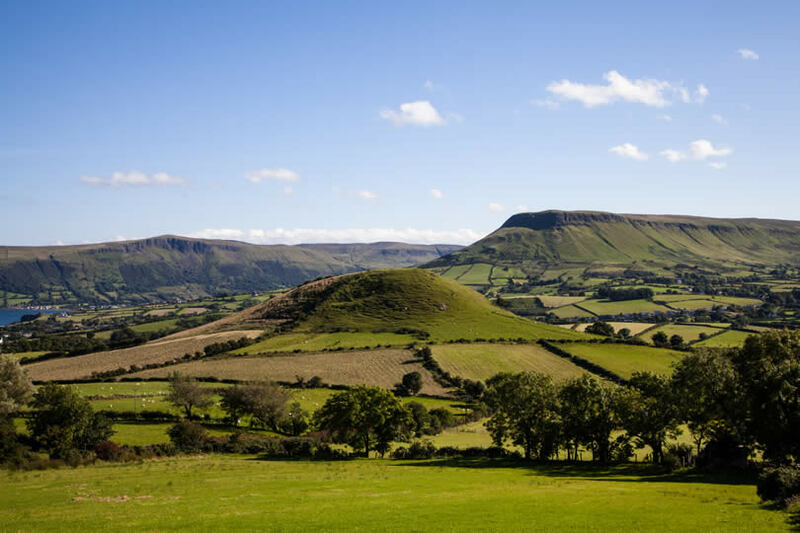 Cushendall is also perfectly placed to explore the Moyle Way – a spectacularly scenic route through the Atrim Coast and Glens Area of Outstanding Natural Beauty.